How to Get Internet to Isolated Puerto Rico? With Balloons. More than one month after Hurricane Maria decimated Puerto Rico and the U.S. Virgin Islands, cell phone communication and connection to the internet remain sorely lacking. 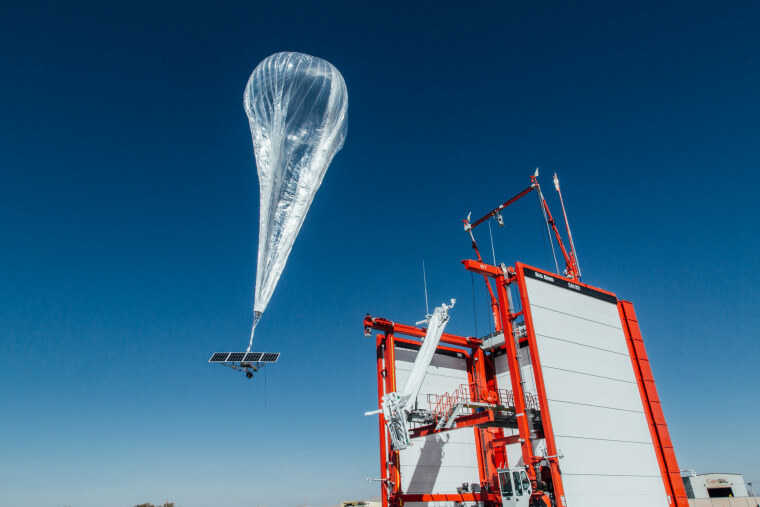 Enter Project Loon, the internet-beaming balloons from X, the "moonshot factory" run by Google's parent company, Alphabet, which have provided a huge boost to getting the affected U.S. territories back online. The balloons launched from the Nevada desert over the weekend and traveled the 3,500 miles by sky to reach the stratosphere over Puerto Rico. Algorithms are keeping them in position where the need is greatest. At least 66 percent of cellular sites were out of service in Puerto Rico and 55.4 percent are out of service on the U.S. Virgin Islands, according to a status report released on Monday by the FCC. "This is the first time we have used our new machine learning powered algorithms to keep balloons clustered over Puerto Rico, so we’re still learning how best to do this," a blog post from X said. "As we get more familiar with the constantly shifting winds in this region, we hope to keep the balloons over areas where connectivity is needed for as long as possible." X received permission from the FCC earlier this month to deploy the balloons 12.5 miles over the ground in Puerto Rico. However, deploying them and bringing connectivity wasn't exactly simple. Earlier this year, the moonshot factory had success connecting people in Peru during a time of torrential rain and flooding. In that case, X had an advantage in rapidly getting Peruvians connected because it had already been working with a local carrier on testing the technology. But this time, X had to quickly work with partners to integrate Loon into their networks, ensuring the system would work once it was deployed. X is working with AT&T in Puerto Rico to deploy internet to the hardest hit parts of the island. That means some people on the ground with LTE-enabled devices will get basic connectivity, enough to send texts and emails and get some internet access. Loon is still a work in progress, but having it up and running in Puerto Rico could potentially allow X to work out any potential snags. "Project Loon is still an experimental technology and we’re not quite sure how well it will work," X freely acknowledged in its blog post. "But we hope it helps get people the information and communication they need to get through this unimaginably difficult time."